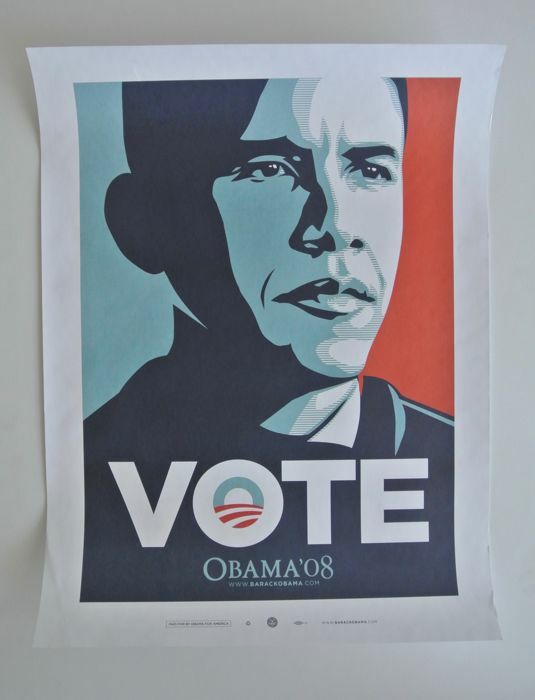 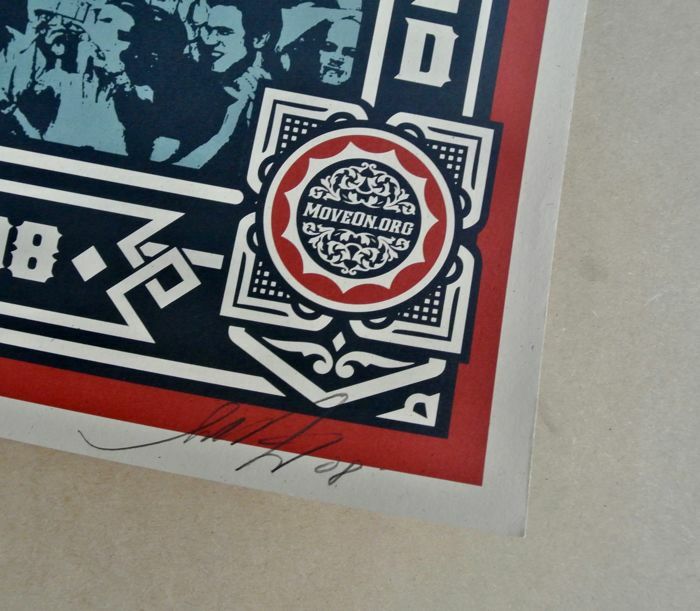 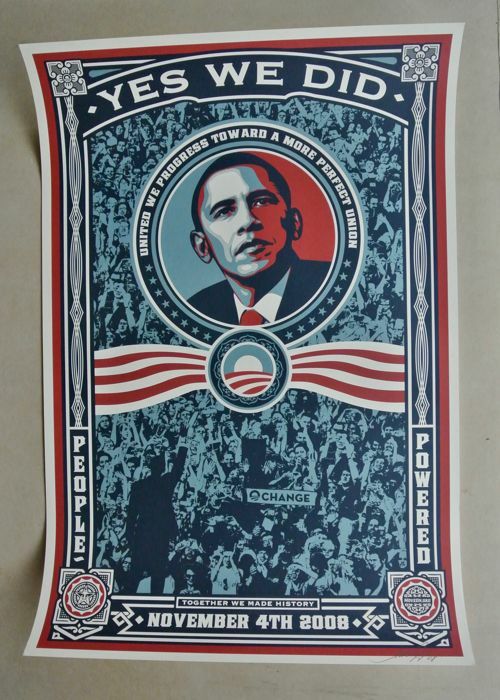 Bonus: Listing also includes an official VOTE poster from an Obama Get Out the Vote event. 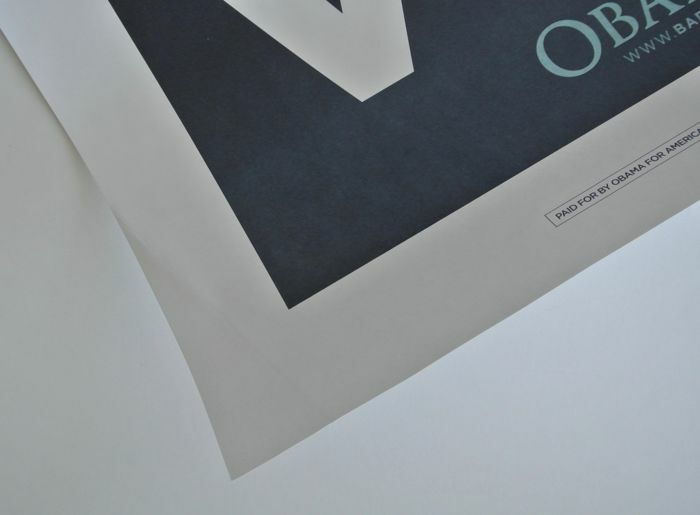 The poster measures 60 x 45 CM and is in good overall condition with some handling marks and creased corner. 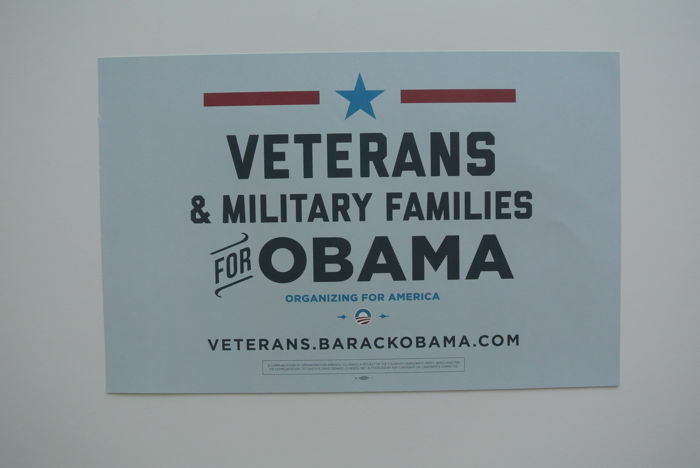 Plus Obama for Veterans banner and Obama sticker sheet from the same event. 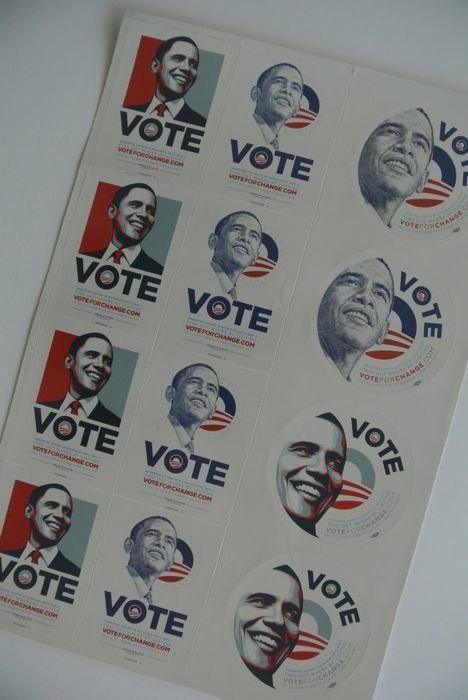 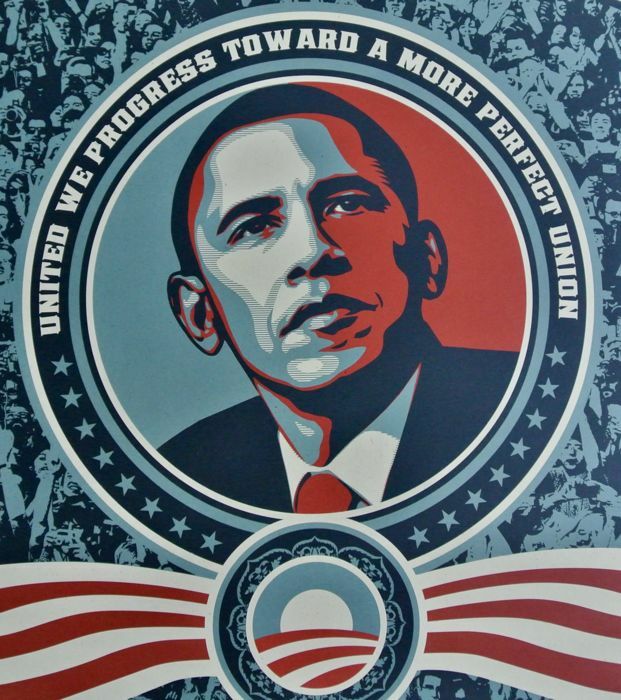 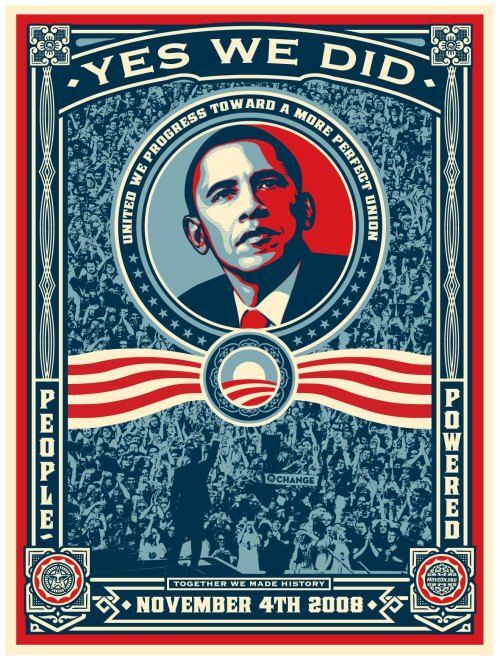 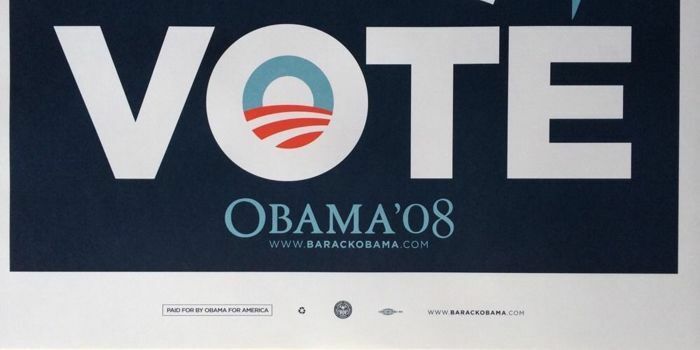 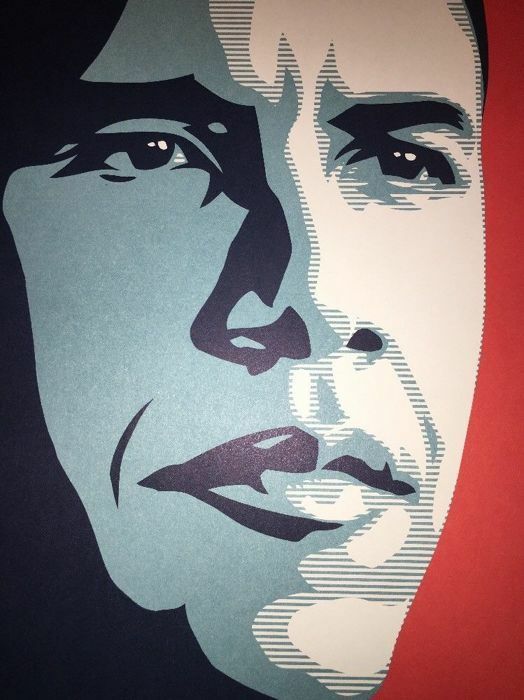 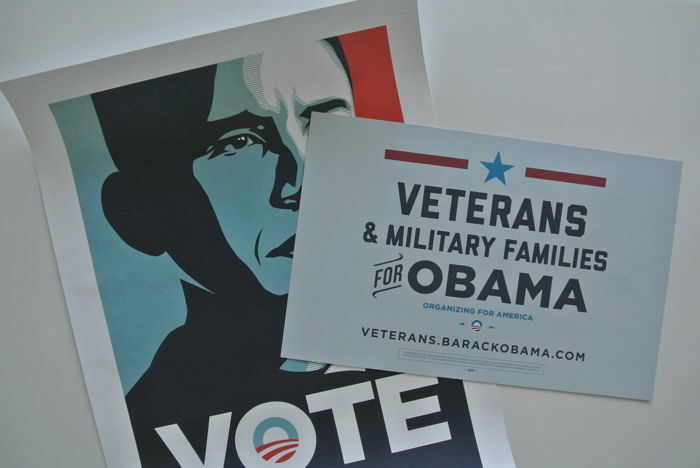 The Obama Vote vinyl sticker sheet includes several of Fairey's design. 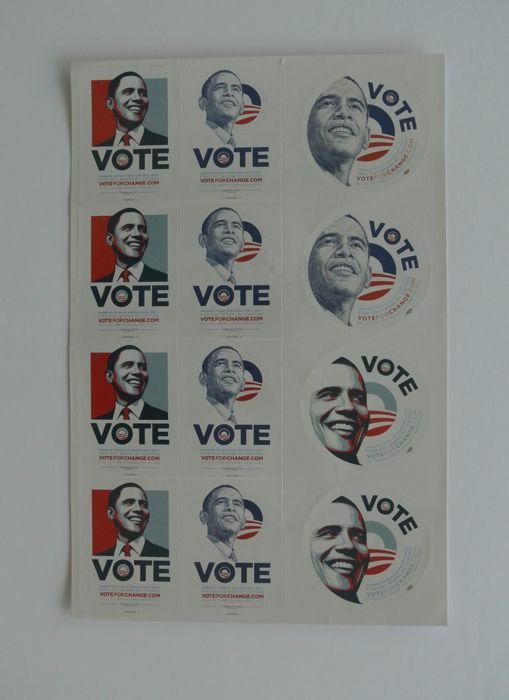 These are very rare to see a complete, unused sheet. 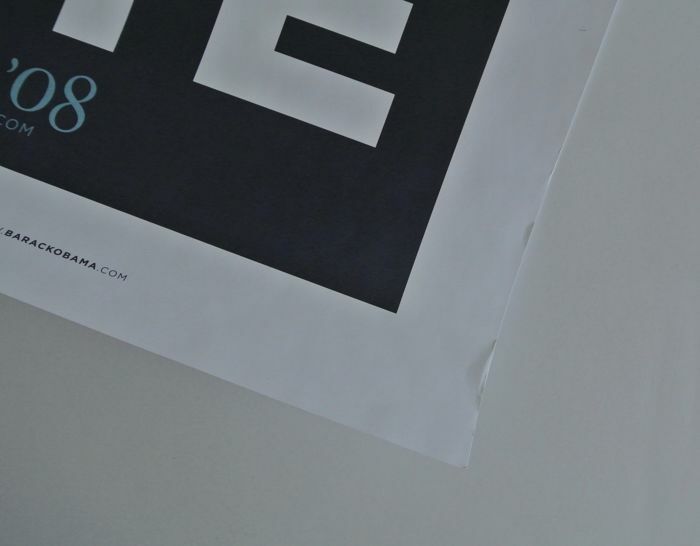 Measures 50 x 45 CM.